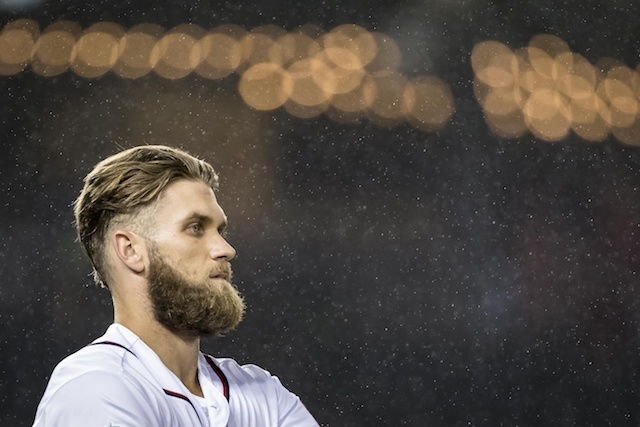 After remaining below the $197 million luxury tax threshold during the 2018 season and therefore resetting their penalties, the Los Angeles Dodgers were expected to be major players for Bryce Harper and other marquee free agents. There was a possibility Clayton Kershaw would join the loaded class, but he instead agreed to a three-year, $93 million contract extension. It marked a second time Kershaw signed an extension with the Dodgers rather than becoming a free agent. Meanwhile, the club’s reported interest in Harper over the winter was mild. The Dodgers reportedly preferred a scenario of signing Harper to a short-term contract rather than the purported 10-year deal he sought. 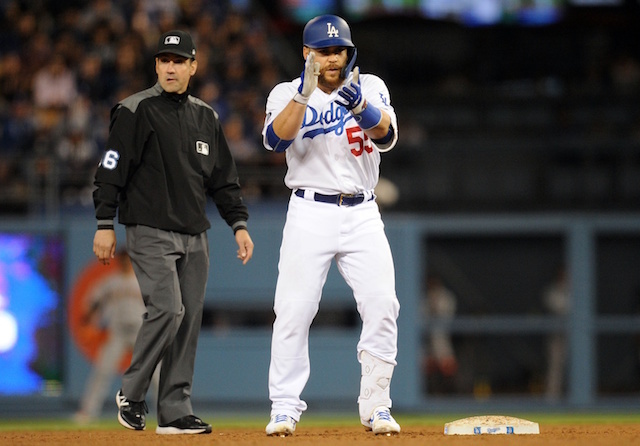 A source has told MLB.com’s Jesse Sanchez that the Dodgers are back in play for free-agent superstar Bryce Harper, and that club officials including manager Dave Roberts were seen in Harper’s hometown of Las Vegas on Sunday. 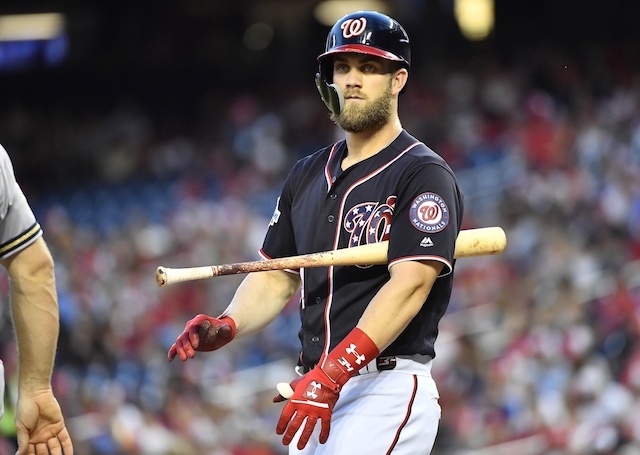 The development throws another twist into the chase for Harper, which had appeared to be down to the Phillies, Giants, White Sox and Nationals, though Philadelphia had appeared to be the heavy favorite to sign the outfielder. Conventional wisdom suggests Harper is looking to sign a contract that is more lucrative than what Machado recurved. That type of deal would fly in the face of how the Dodgers have operated under president of baseball operations Andrew Friedman. 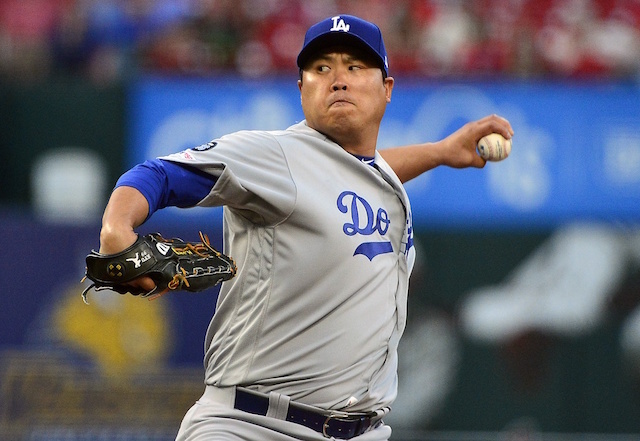 That being said, he hasn’t been in position to sign a 26-year-old megastar in years past. Signing Harper would push the Dodgers past the luxury tax threshold, which the organization has appeared hesitant to do. Management has maintained there is not a directive to avoid doing so, however.